We collected some cool info for your summer travel! 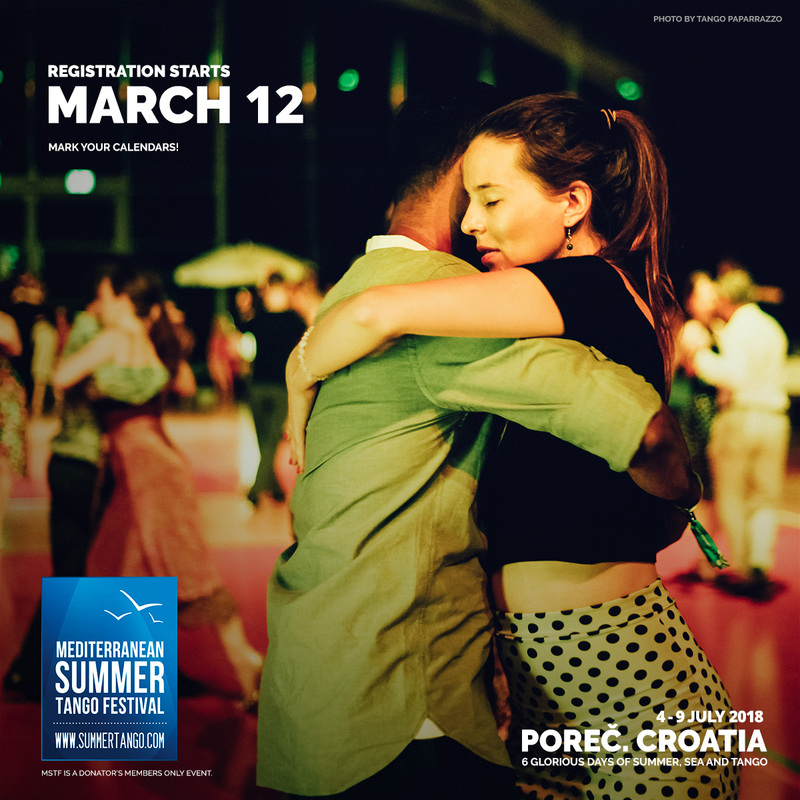 We’d just like to let you know that the registration for your favourite summer tango party starts on March 12. So, that’s that. 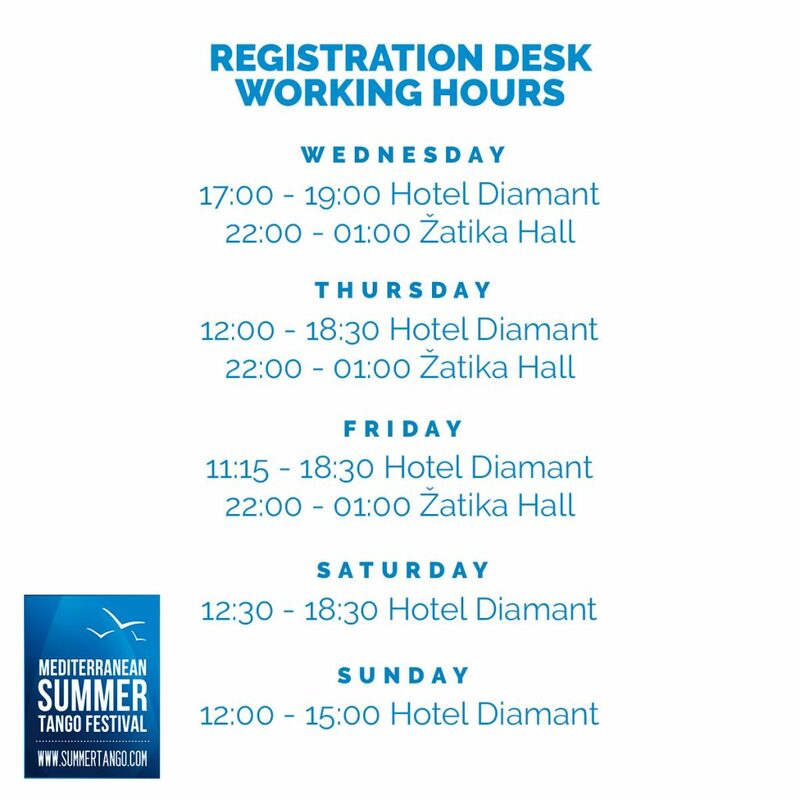 Here are desk working hours in Poreč. Give yourself a hassle free entrance to evening parties by taking a small trip to hotel Diamant during the afternoon. There, in air-conditioned hotel lobby you can easily get your registration while you sip on your coffee or mojito and just breeze by the que at the evening milongas. 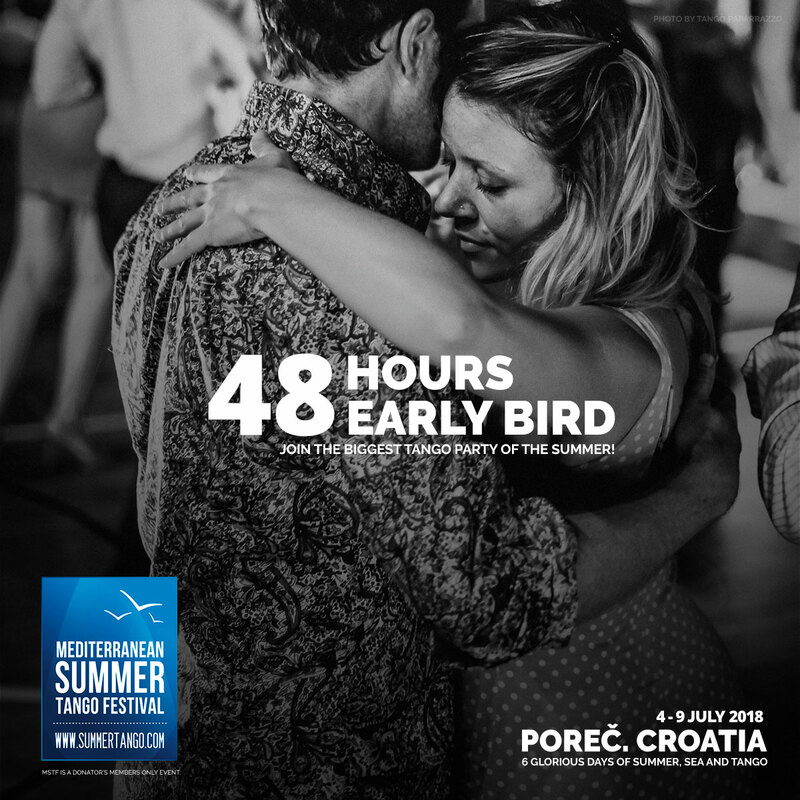 …are just few weeks away. See you soon friends! 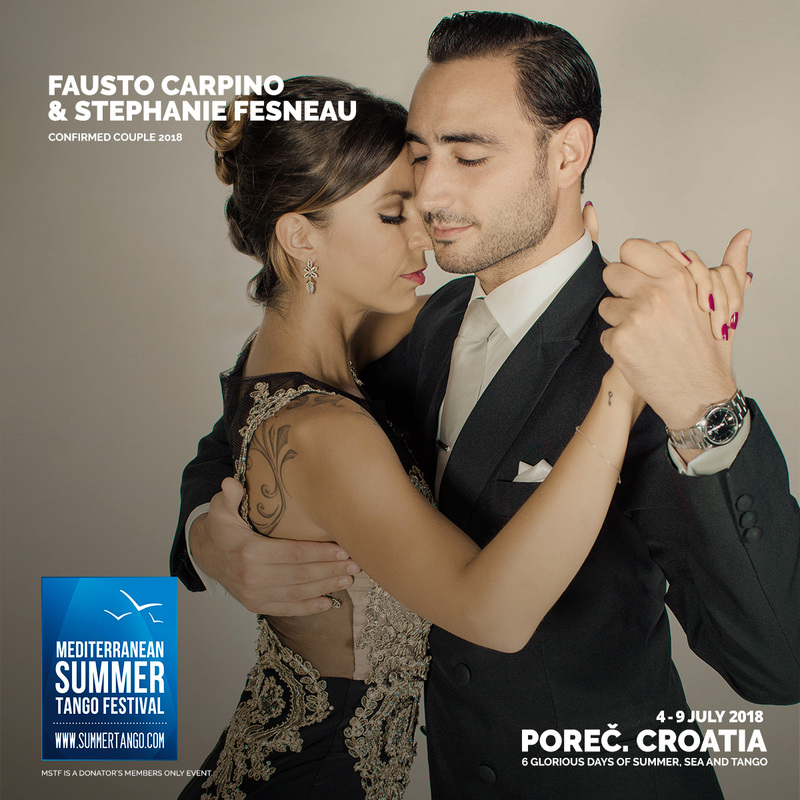 Almost there peeps, last but not least – Carlitos and Noelia! 5. The importance of the music for the connection. Being literal, melodic, rhythmic, details….. Suggesting a musical idea. 7. Action and Reaction: Playing with the roles for the understanding of follower’s suggestion. Back leading.